Market report and Homes sold in Buckingham township Bucks county in January 2015 . Buckingham township is located in Bucks County Pa. I looked up the mls this morning to see the real estate activity in January 2015. I looked for residential listings sold. There were 18 homes that settled in January 2015. The average sale price was $488,222 The above is subject to errors and omissions. The homes were on the market for an average of 126 days. There is a train station in Doylestownfrom where you can take the train to Philadelphia and International airport. Look up schedule at www.septa.org .Bucks County is a beautiful place to live.There are parks, golf courses, restaurants and fine shopping in Bucks County. 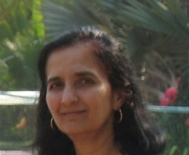 If you are looking to buy a home in Bucks County call Gita Bantwal at Re/Max Centre Realtors. 215343-8200x124 or 215-275-8491 cell I hold the ABR designation and would love to be your Buyer agent. You can look up all listings on www.gitabantwal.com . If you want to sell your home call me for a free market evaluation of your home . I hold the CRS designation and am a certified residential specialist. Today, March 23 is National Puppy Day. March 27 is National Joe day.